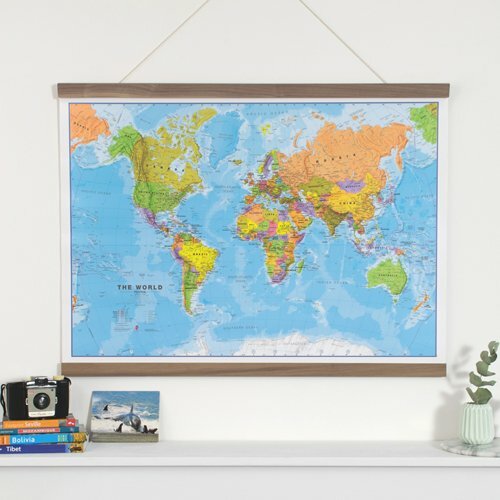 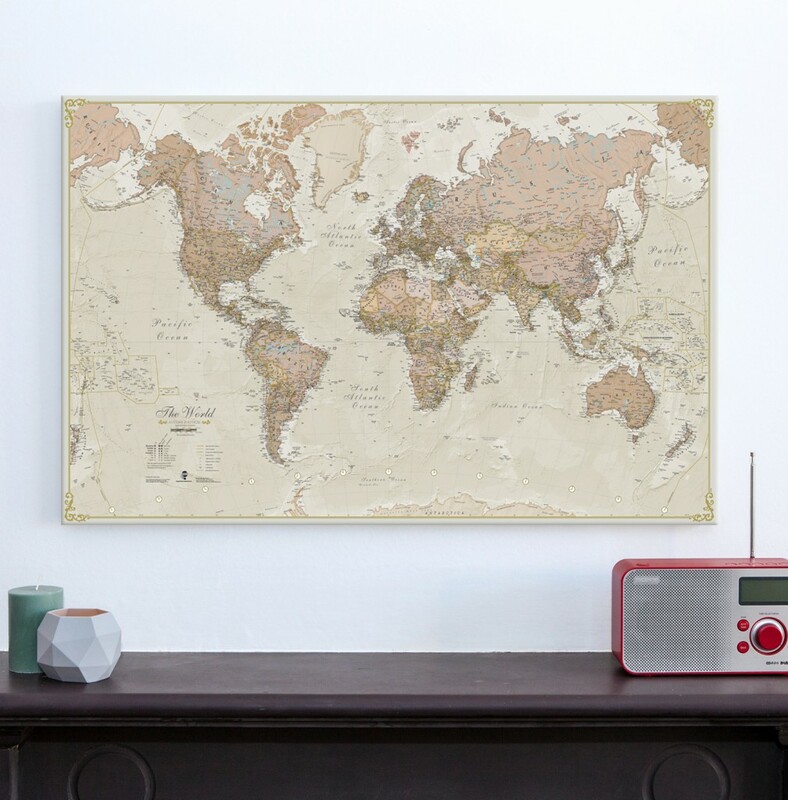 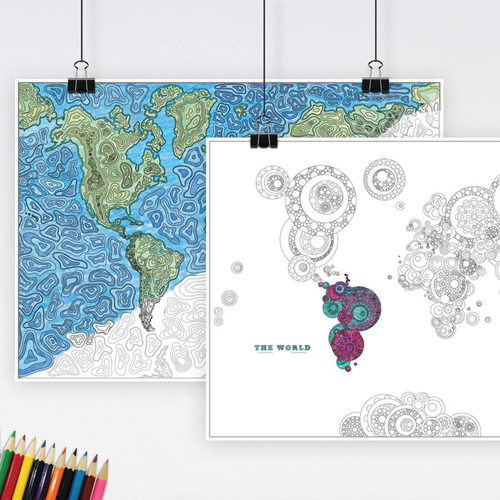 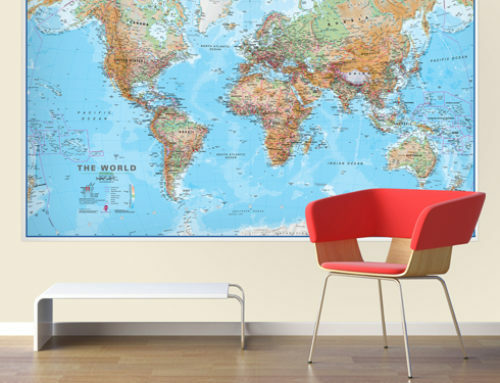 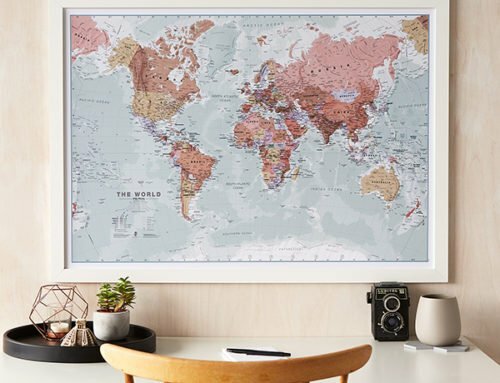 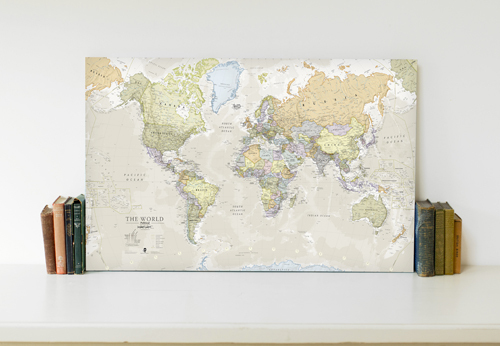 This classic canvas world map is ideal for the men’s den as its muted tones looks stylish and sophisticated. 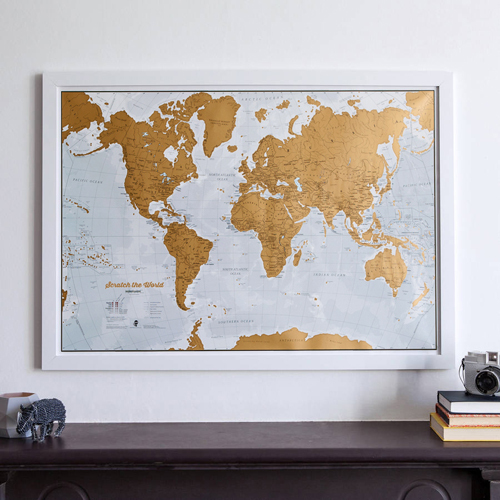 The canvas finish makes the product look luxurious and adds character to the room. 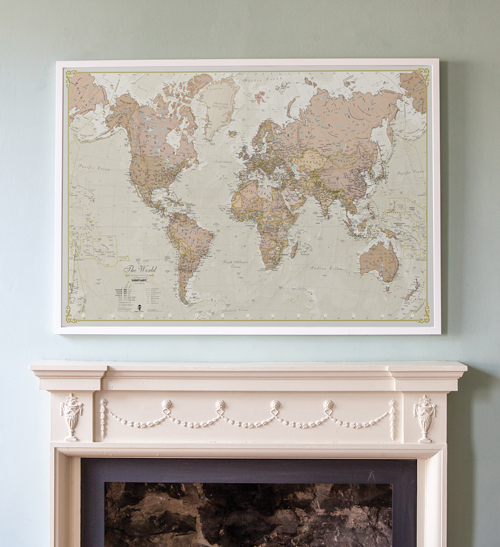 The antique world map makes a great addition to a man’s den and the smart black frame adds quality to the product. 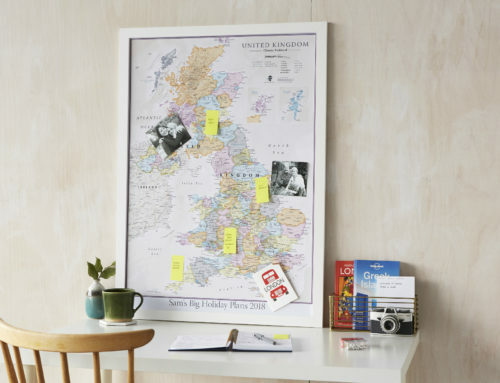 This product can be personalised with writing and pictures to make it extra special. 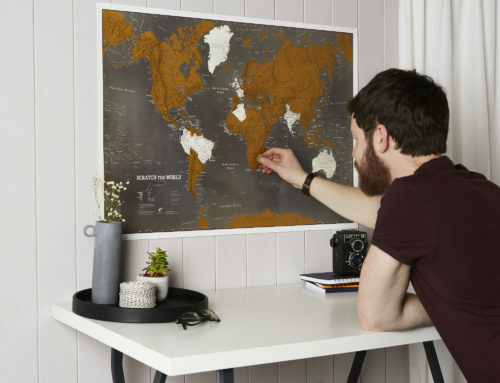 The Scratch map also makes an excellent present for a man this Christmas as they can scratch off the locations they have visited and plan their next holidays!